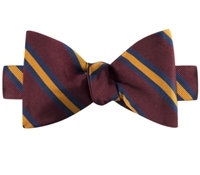 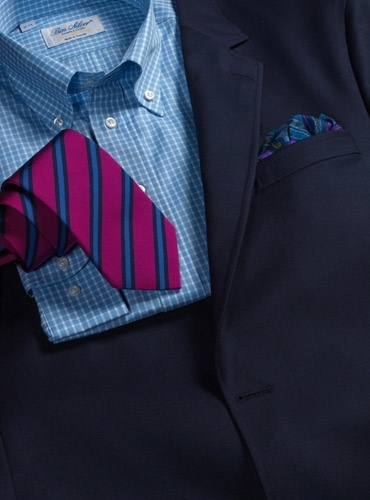 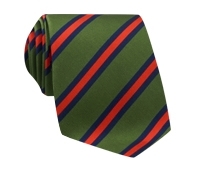 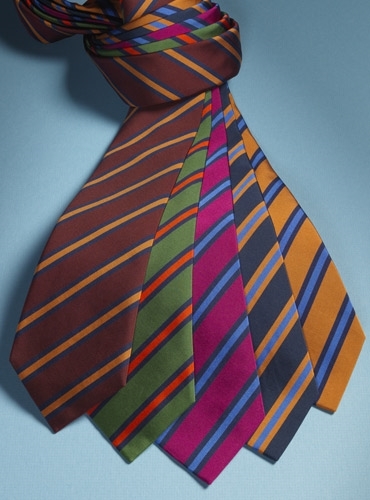 Exceptional English Mogador woven striped neckties and matching bow ties. 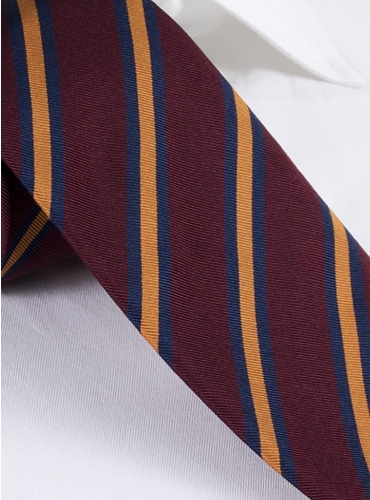 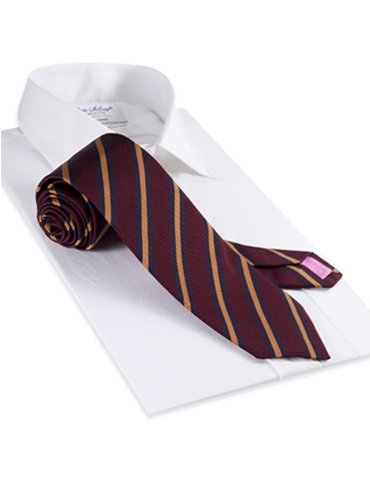 Featured in B-claret ground with amber and navy stripes. 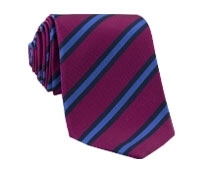 Also available in: C-leaf with chilli and navy; D-magenta with cornflower blue and navy; E-navy with cornflower and copper; F-copper with cornflower and navy.